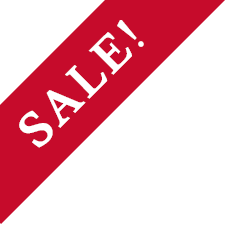 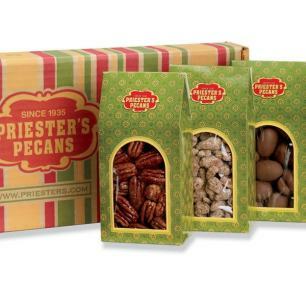 Put together the best business corporate gift through Priester's Corporate Gift Program. 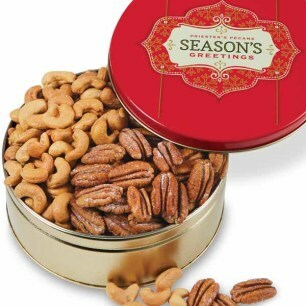 Whether it's a gift for an employee, a thank you gift for clients, or a simple token of appreciation we have options that will meet every need. 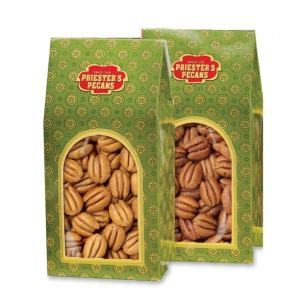 Choose from roasted nuts, holiday gifting boxes, and pecan pies of the freshest ingredients filled with love. 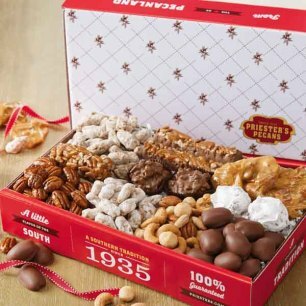 An option like Priester's Favorites Sampler is perfect for those who love an array of pecan logs, praline pecans, frosted pecans, white chocolate covered pretzels and more. 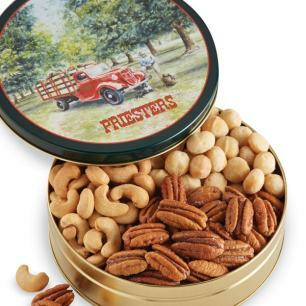 You can find each individually bagged for freshness. 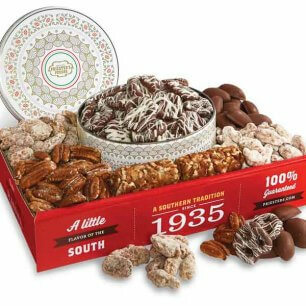 Gift a classic Southern touch through the Southern Pecan Assortment Gift Tin , of different roasted and chocolate covered nuts. 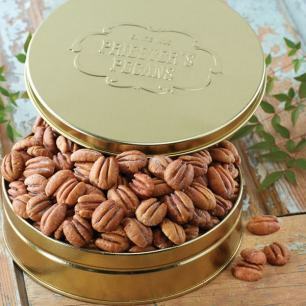 Or our Old-Fashioned Pecan Pies are freshly baked using grandma's homemade recipe. 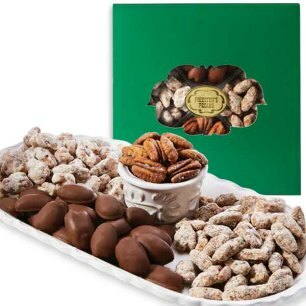 Each gift basket is easy to order and customizable. 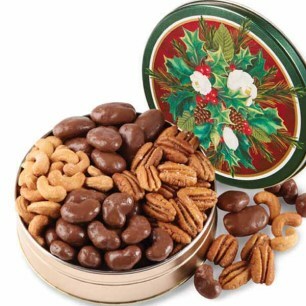 You can easily order your corporate gifts online. 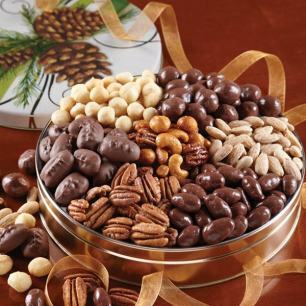 You can also contact our corporate gifting expert Felisha or give us a call at 1-866-477-4736 if you have any questions!